Dr. Weeks’ Comment: If you know people in SF, this will be an eye opener! Are cell phones safe? Why do some nations advise that children not use cell phones? Growing numbers of scientific reports find that heavy users of cell phones face increased risks of brain tumors, reduced sperm count and other serious health problems. Devra L. Davis, PhD, MPH, will be the featured speaker on Sunday, January 17th at 1:30 pm, at the workshop Are Cell Phones Safe? How Teens Can Avoid Risk. This forum will be held at the San Francisco Main Library, Grove Street Entrance in San Francisco, California. A new video, “Cell Phones: Just Like Cigarettes?” will be premiered at this workshop. Teens Turning Green, a national environmental health organization, will moderate a high participation event that will involve students from San Leandro High School’s Social Justice Academy, and from other bay area schools. Major financial support for the film project was provided by a grant from the California Endowment. Last September, Dr. Davis testified about the urgent need to adopt precautionary cell phone policies and to initiate a major cell phone safety research program before a key U.S. Senate Committee, along with scientists from Israel, Finland and the Environmental Working Group in the United States. 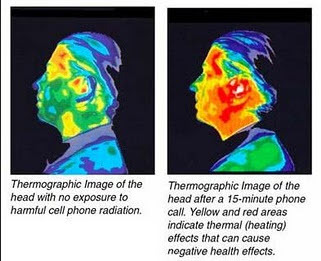 A scientist from EWG presented a newly released report that compares the Specific Absorption Rates of cell phones manufactured in the U.S. and advises consumers to purchase cell phones that transmit at lower power. U.S. Senators say they will be holding more hearings. Dr. Renee Sharp, who directs EWG’s California office said, “”Until scientists know more about cell phone radiation, we think it is smart for consumers to buy phones with the lowest emissions.” Dr. Sharp will present EWG’s report at this workshop. Mayor Gavin Newsom has announced plans to introduce legislation that would require retailers in San Francisco to post information on Specific Absorption Rates, or SARs, wherever cell phones are sold in the city. Electronic RSVPs are advised, as space is limited for this free public event. We will be repeat the program on January 19th at 7:00 p.m. at Marin Academy in San Rafael. See www.teensturninggreen.org for more information about that 2nd event and www.environmentalhealthtrust.org and www.icems.eu for extensive scientific background documentation. Dr. Devra L. Davis and Elizabeth Kelley are available for interviews. WIFI in schools – our school board is refusing to take this seriously, how about yours?